Having credit is a vital part of buying a home. It lets lenders know how you manage your debt and if you’re responsible enough to make the payments every month. What Does “No Credit” Mean? Not having credit means that you don’t have a credit history. This means that you’ve never applied for a credit card and always pay in full. It’s a great way to live by because you’ll never have debt and it’s the most responsible way to manage money. However, by doing this you’re also limiting yourself from building credit history, which will benefit you in the future. There may be a time in the future where you will need some kind of credit history like getting a new apartment, buying a car, or even buying a home. Technically, you can buy a car and home without credit, but that would require paying for it in cash and in full. Most people don’t have that kind of money lying around. Having a low credit score is something that can be worked with, but having no credit whatsoever is a different story. Is it Possible to Get a Credit Report without a Credit Card? Yes, it is possible to get a credit report without having to sign up for a credit card. There are other ways to build your credit such as paying your bills on time, so it is possible to build an “alternative credit history” from your past rent checks, utility bills, insurance premiums, medical bills, cell phone bills, etc. Unfortunately, gathering all of the information to build this can take several months to do and not all lenders can do it. Even if getting an alternative credit report is possible, it is very likely that the buyer will get a higher rate than someone who has a good traditional credit history. The best option in this scenario is to get a credit card, use it to buy something, and pay the minimum amount for at least 6 months. It takes at least 6 months to get a FICO score. You can use it to purchase something moderately expensive, or you can make a small purchase once a month and pay it off in full. You’ll be building real credit and since great money managing skills were already in practice, your credit will look great. 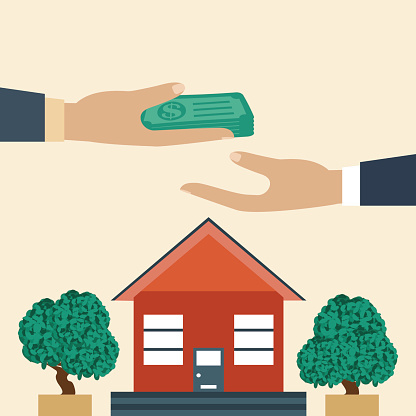 If you’re looking to purchase a home, the FHA Loan is the best choice if you have no credit. The FHA (Federal Housing Administration) is backed by the government and allows lenders to use nontraditional and alternative credit. Buyers must be able to prove that they haven’t been late on their rent, utility bills, car insurance, or medical bills for at least one year.